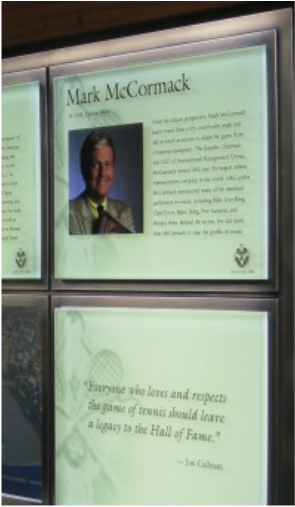 Mark McCormack was born and raised in Chicago where he developed a passion for the game of golf as a young boy. When he was 6, he was hit by a car and fractured his skull, and his doctor barred him from contact sports. 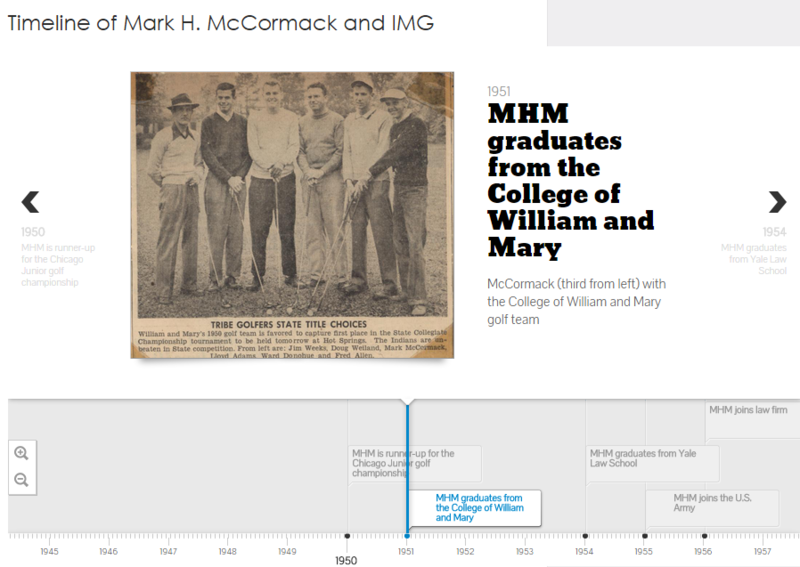 After receiving a law degree from Yale University and accepting a position in a prestigious Cleveland law firm, McCormack remained in touch with several professional golfers he had befriended as a player. He soon began arranging exhibitions for his friends as a sideline and offered them legal advice on a casual basis. Then, in an agreement sealed by a handshake, Arnold Palmer became McCormack's first full-time athlete-client and a new chapter in the business of sports was speedily written. 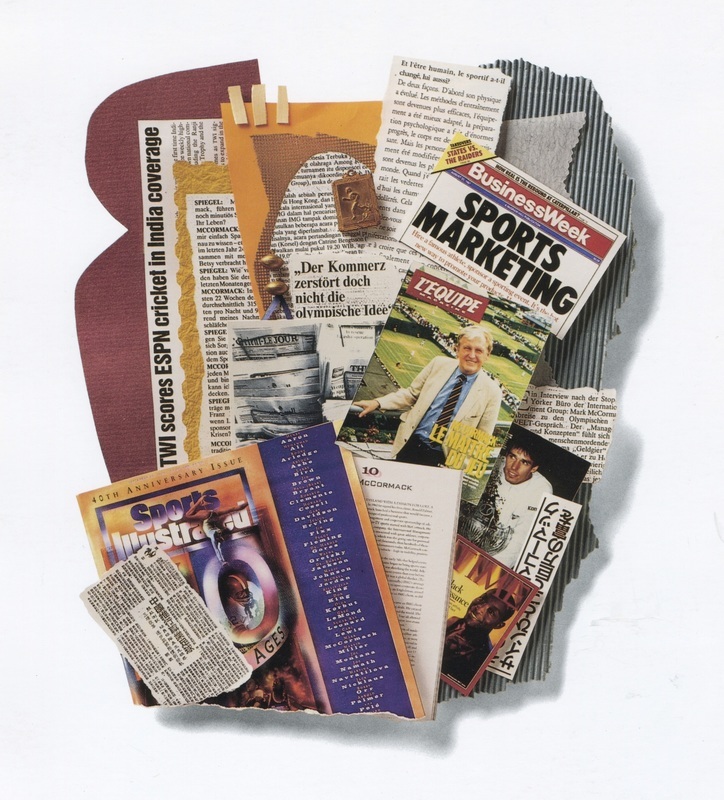 While launching his business in the United States, McCormack understood the global nature of sport and built IMG into a global powerhouse with offices in over 40 countries. He was in China before Richard Nixon, launching both the Chinese Football League and Chinese Basketball Association. From Soccer to Badminton to Snooker to Cricket to Rugby, his footprint and influence was felt in every major international sport. Given sports ever-increasing influence in our culture , The London Sunday Times listed McCormack as one of the 1000 people who most influenced the world in the twentieth century. ESPN's Sports Century listed him as one of the 20th century's ten "Most Influential People in the Business of Sport."